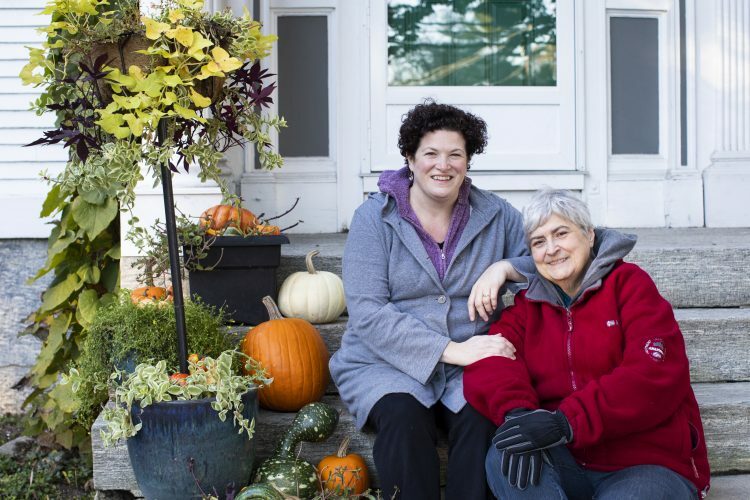 We’re so excited to introduce you to ourselves – we’re Catherine and Ann. We’ve been together since 1998 and married since 2014. 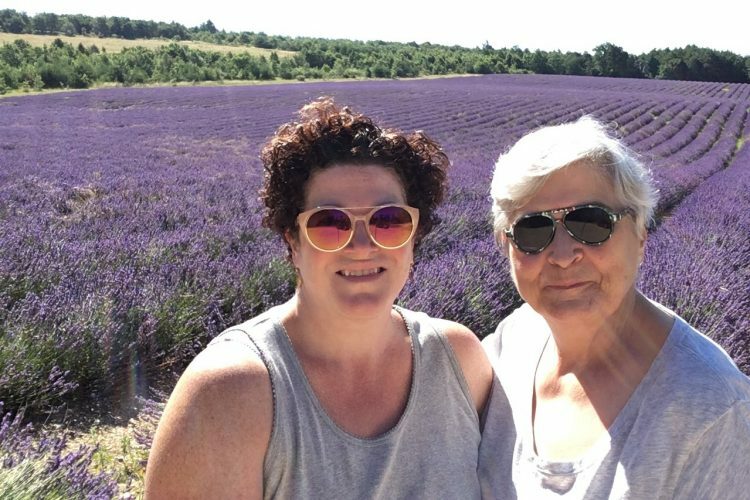 Both native to Massachusetts – Catherine from the west and Ann from the east – we’ve settled down together in coastal Rhode Island where we both work as musicians and music educators. We met in an academic setting and bonded over our love of music, travel, cooking, and animals. Since then, we have grown to become each other’s biggest supporters. 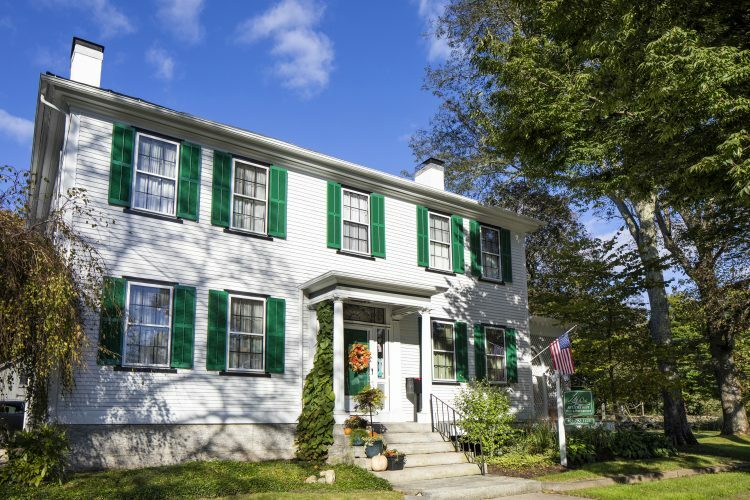 Our home, built between 1736 and 1829, is in a historic New England village and we’ve been working to restore the property since 2011. We spend most of our year in Rhode Island, but also enjoy breaks around the holidays and during the summer at our secondary home in southern France. Expanding our family – which already includes parents, siblings, nieces, nephews, aunts, uncles, a large group of friends, and two cats (Rosie and Henry) – to include a child, is one of the most exciting things we have ever done together. We eagerly anticipate being matched with our future child – perhaps your child – so we can watch them grow and thrive in our home. Our circle of loved-ones is also super excited that we’ve taken this step and cannot wait to share in all sorts of new experiences as we welcome a child into our family. Please allow us to tell you more about our lives and our journey to parenthood. We have known one another since 1994, as we worked together on a number of musical projects including professional productions, local musical theater, and a youth orchestra program, but we didn’t become involved in a relationship until 1998. Little by little since then, our lives have merged into one fantastic journey. First, we settled into a small home in a suburb of Providence, spending many of our early years together traveling, making music, and teaching (teaching a lot). Then, when the opportunity arose to move closer to Ann’s place of work by buying a really old home in need of lots and lots of love, we jumped at the opportunity. 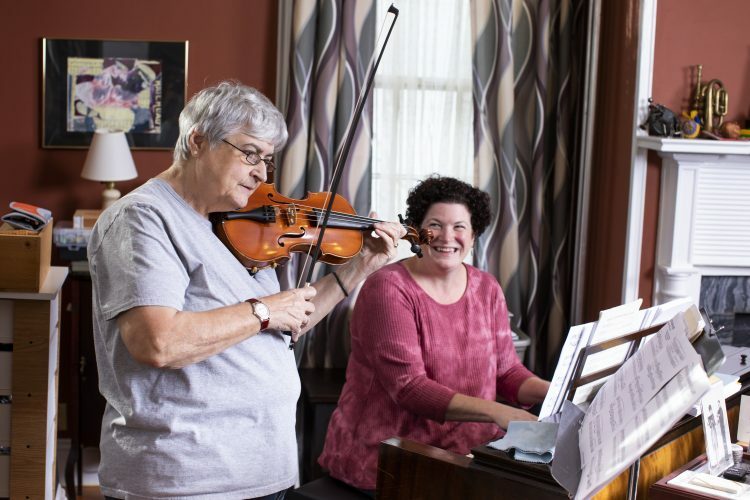 Ann is thrilled to now only have a 5-minute commute to work – she is a college professor who teaches violin, viola, and a bunch of other classes for future music teachers. Catherine is a music teacher too. She works for a company based in New York, but manages music programs for kids in private elementary and middle schools in Rhode Island and teaches instrument lessons at some of the schools. In addition to our regular day jobs, we also opened our home as a small bed and breakfast as a way to fund all of the renovations we’ve made to our property; our time as innkeepers is winding down now though, as we plan to shut down our bed and breakfast when we welcome a child into our lives. Upon an adoptive placement, we also plan to change our work schedules in order to avoid placing our future child in daycare. We are really lucky in that we both have flexible careers, so we really look forward to scaling back our work hours, sharing in our parenting responsibilities, and being home more! Both of our families have grown very close over the years. While most of our family members are geographically spread across New England or New York, we work really hard to make time to visit them and to hold annual gatherings at our home for them. “The more the merrier” is often our attitude when it comes to throwing parties – especially in the summer when we can barbeque or roast marshmallows by a fire. 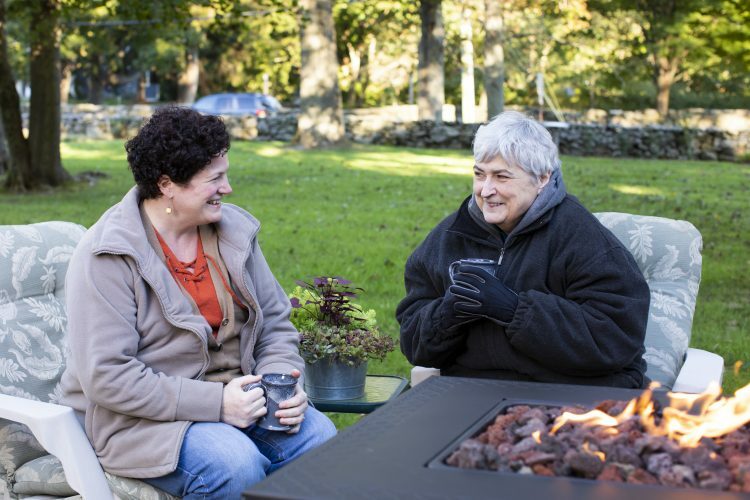 Catherine’s mom, Jeanne, loves to build campfires, and it’s a running joke to keep a hose close by when Jeanne’s around. She can’t wait to share this tradition with our future child; while, we can’t wait for the s’mores and hot cocoa we will all share as we warm up by the fire. Even though we are surrounded by loved ones, we chose to have a very intimate wedding in May of 2014 with just a few close friends in attendance. We would love to share pictures of that evening, but I think we were both too nervous to even remember our phones had cameras, so we don’t have any to share! We so look forward to adding spaces inside and outside of our home for our future child to enjoy. We already have scrapbook ideas for a nursery and we can’t wait to plant a flower or vegetable garden with our little one someday. Meanwhile, Catherine’s father, Al, is already on the lookout for a great sandbox and swing-set. We have a cozy family room with plenty of space in which we can play or snuggle up on the couch with fuzzy blankets to watch a good movie as a family. Because our home is an inn, we also have a surplus of rooms, which means there is plenty of space for our future child to have a nice big bedroom when they’re older. Because we live on the coast, there are many beaches nearby our home where we love to spend warm evenings on picnics. We find a particular type of tranquility near the sea and can’t imagine living anywhere else. Our home also has beautiful public parks and playgrounds nearby, plus an awesome bike path, which we really enjoy. The bike path is probably one of our favorite things about our area because it’s pretty off-the-beaten-path, making it a great place for families to go on walks, go rollerblading, and ride their bikes. A few minutes up the road from our home there is also an athletic facility with a pool, skating arena, gym, and courts, all with public hours. We can’t wait to take our future child for swimming lessons or open skate sessions there, to teach them a little tennis or basketball on the courts nearby, and to work on our sandcastle skills with them at the beach! Catherine’s parents live in western Massachusetts and visit us frequently. She also has a sister who lives in northern Vermont with her partner and daughter. Ann’s parents have both passed away, as has her brother, but she remains very close with her sister-in-law, along with her two nieces and one nephew who combined have four children and one foster child from South Korea. This side of the family lives further away in New York, North Carolina, and Georgia. Though we don’t live close by these family members, we still we see everyone a few times a year for special events like weddings, graduations, and big-birthdays. Ann’s family has always been really connected to the ocean, via Cape Cod, so we’ve also occasionally gathered there together for family vacations. Our youngest nieces and nephews, Audrey, Nate, and Kasey, can’t wait to meet their new cousin and “show them the ropes.” They are really looking forward to sharing their lives in New York City – including the great parks and fun, family street-parties, and upstate Vermont – complete with awesome sledding and snowballs. In Rhode Island, our family consists mostly of really close friends we’ve made over the years through our work, including members of our music community, former students, and their families. We’re also close with several of our neighbors. Our friends are really eager to grow to know and love our future child; several never had kids, so we suspect there will be a little more adventure and extra spoiling in store from them. A good friend of ours, Erin, has two teenage daughters who can’t wait to babysit, as they already cat-sit for us from time to time. Another friend of ours, Katie, has two little boys who can’t wait to welcome our child as their new playmate. Always fascinated by the country of our both of our family’s origins – France – we have spent years visiting the country and even bought a little house there in 2003. A small village home, it used to be a donkey barn; but, in 1966, the family who owned it turned it into a two-room vacation house. In the 1980s, a second owner expanded the property, buying another attached structure and turning it into a four-room vacation house. Since purchasing it, all we’ve done is add some modern touches, mostly just improving the plumbing and putting a few gallons of paint on the walls. 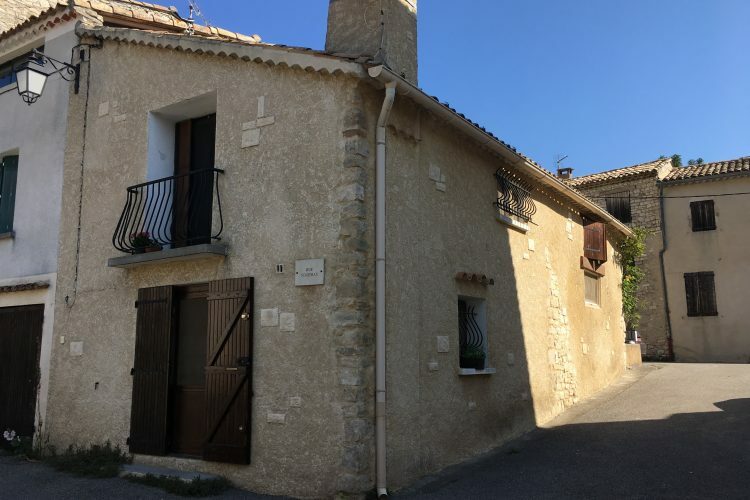 Now, our little French house is a retreat for times of rest, hosts holiday gatherings every few years, and serves as a great home-base to explore other parts of the country, as well as nearby Italy, islands in the Mediterranean, and Switzerland. We can’t wait to bring our future adoptive child there so they have the opportunity to explore Europe, learn about other cultures, try all kinds of unique foods, see some amazingly beautiful places, and make new friends from all over the globe. We have many friends in France that have grown to be more like family. In the very rural community in which our home is located, there are more cows than people, but there are also many families with young children, so we know our future adoptive child will easily find a French playmate when we visit. Almost every evening we spend there in the summer involves a communal meal where we all contribute; our friends are particularly fond of the Mexican-style dishes that we sometimes prepare because this food is so very different from theirs. Our friends can’t wait to have another little one join us for these nightly festivities. In addition to valuing our traveling experiences, we really value learning languages; while Ann spoke French as a child, Catherine learned it from going to a weekly market, reading recipes, and listening to others for a good 4 to 5 years before trying to speak it. We’d like to expose our future adoptive child to the French language when they are very young so that they can easily communicate with others during our vacations. Making time to pursue our hobbies and have a little fun is really important to us. Each fall, we look forward to driving to a nearby town on the weekends to buy fresh apple cider and donuts. On weekends throughout the year, we take off on consignment shop or antique shop excursions. Then, on an everyday basis, we spend time playing with our animals – for both our happiness and theirs. Catherine directs a local community orchestra and is the queen of “big ideas,” so she frequently brings together all sorts of groups in large collaborative projects. Ann is an active performer and continues to play for weddings at beautiful properties throughout Newport. Together, we are also always thinking of ways to bring our musical friends from the states to France to perform with colleagues there. Our other hobbies keep us closer to home. Catherine spends time in the gardens, can be crafty (especially in decorating for holidays/changes of season), and has a unique love for redecorating rooms. She is so looking forward to helping our adopted child get in touch with their creative side, whether it’s through planting a fairy garden, finger painting, building Lego villages, or inventing new cookie recipes. Ann, who adores writing instruments and is always tinkering with old fountain pens to get them to work, is a big fan of card games and has a knack for finding interesting items at yard sales (including our cat, Rosie). She’ll certainly expose our adopted child to the magical finds waiting to be discovered at thrift stores, be the best Go-Fish and board game teacher ever, and have lists of wacky jokes to share. Our future child will surely also be surrounded by music! We will actively encourage our adoptive child to explore self-expression through musical sound, as we are often going to concerts, attending rehearsals, and experimenting with all sorts of instruments and musical styles. We began the journey of trying to build our family about five years ago. Because Ann was unable to, we decided Catherine would attempt to carry our child and we would do this through assisted reproductive technology. Following a few procedures, many rounds of IUI and IVF, several early miscarriages, and much strain (both physically and emotionally), we began exploring adoption. We know several people who have adopted or who have been adopted, but we hadn’t seriously investigated the process of adopting to grow our family until 2017. Along our journey, we have decided that “being parents” and “raising a child” really outweigh “having a biological child” for us. After considering our options, we easily embraced the idea of adopting a child so that we could share our experiences, resources, home, lives, and hearts with them. Having lost three pregnancies in their early stages, we understand the immense sacrifice you are considering making by thinking of placing your child for adoption. So, if you select us as your child’s adoptive parents, you should know that we are 100% ready to commit our lives to your child as they become the newest member of our family. Please know that we appreciate you and are keeping you in our hearts as you are considering placing your child for adoption. The fact that you are going through this process with us, and all of the other prospective adoptive families, demonstrates your love for your child. The decision you are considering making is so selfless that we feel compelled to thank you for taking the time to consider your options and to carefully select the right family to raise your child. We want you to know that we are honored you have taken the time to read about us and we hope you will consider our family as part of your adoption plan. We hope we’ve provided you with a glimpse into our lives and that we’ve shown you how ready we are to welcome a child into our hearts. If you select us to raise your child, we can assure you that we will provide them with unconditional love and support as they grow to discover their path in this world. We also hope you can envision how they will truly be welcomed with open arms by our family and community. Finally, we just want you to know that, if you’re open to it, we’d appreciate the opportunity to get to know more about you. Because we believe in openness and that more love is always a good thing, any child raised in our home will also know the love of his or her birthparent(s). Please call Full Circle Adoptions at 1-800-452-3678 if you would like to learn more about us or if you would like to speak with us.